A new anti-spam law – that will require express consent of newsletter subscribers – will come into effect July 1, 2014 and advisors who currently disseminate newsletters are scrambling to become compliant. One industry professional offers his tips. “It’s going to be interesting. (To prepare) it’s going to be as simple as sending an email … my plan is to send an email out saying, ‘hey I’ve got to filter this list as per the new regulations, if you wish to remain on this list please reply with a yes,’ or something along those lines,” Dustan Woodhouse of Dominion Lending Centres Canadian Mortgage Experts told WP. Woodhouse suggests advisors and other financial professionals start reaching out to clients ahead of July 1 because any unsolicited electronic message sent after that date may be considered a “commercial electronic message,” and – under Canada’s Anti-Spam Law (CASL) -- any CEM sent will be prohibited unless its receiver has provided consent. But before panic strikes, this new legislation may actually have a positive effect on business, according to Woodhouse. “You’ve gotta reach out to all your existing subscribers if you want to keep emailing the, but it’s another opportunity to touch base with your clients so I would look at it as a good thing,” Woodhouse said. 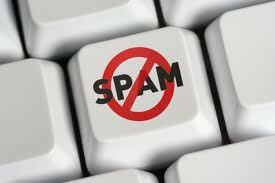 He has also set up his email marketing efforts in such a way that will require little preparation. Another valuable tip is to check your errors and ommissions (E&O) insurance to see if it protects you from breaching CASL, because those who do not comply could be fined.